Service companies now account for a very large portion of the world's economic activity, and finding a formula for managing them successfully, for profit, has become an enormous challenge. 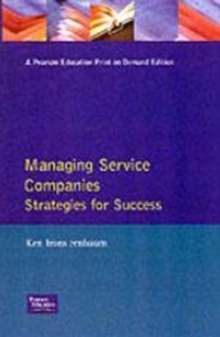 This book illustrates how a number of international companies have achieved service success. It incudes a survey of 30 companies and shows the relationship of their culture to their success, together with 19 detailed case studies with in-depth insight from international organisations.